FORT VALLEY, Ga.--(BUSINESS WIRE)--Blue Bird just delivered the first electric-powered school buses to customers in California and Ontario, just in time for the new school year. Seven Type-D All American Rear Engine Electric school buses and one Type A Micro Bird G5 Electric school bus will be in operation this year. Jack Matrosov of Wheelchair Accessible Transit, based in Toronto, Ontario, was able to add a Micro Bird G5 Electric school bus to his fleet through the use of the Electric and Hydrogen Vehicle Incentive Program (EHVIP), which is offered by Ontario’s government. “When the EHVIP Grant became available, we were thrilled to find out that Micro Bird had an electric bus solution in the works. Over 90% of our fleet are Micro Bird buses and we feel these buses offer great quality, and good local service when needed,” said Matrosov. He added that the grant also allowed him to cover nearly all of the costs of the infrastructure needed for this bus. The larger, 72-passenger buses ordered by customers in California have a similar design to the many Blue Bird Type D CNG buses that districts operate in the state today. These districts utilized many California-based grants, including South Coast AQMD and HVIP, which helped to pay towards the cost of the buses and infrastructure. While grants were widely responsible for the purchase of these buses, manufacturers like Blue Bird see a future in this technology that will make these buses more affordable and wide-spread as a viable alternative fuel solution. Blue Bird and Micro Bird announced their development of electric-powered school buses in 2017, promising deliveries starting in 2018. 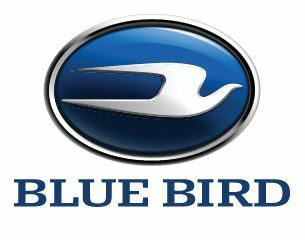 About Blue Bird Corporation: Blue Bird (NASDAQ: BLBD) is the leading independent designer and manufacturer of school buses, with more than 550,000 buses sold since its formation in 1927 and approximately 180,000 buses in operation today. Blue Bird’s longevity and reputation in the school bus industry have made it an iconic American brand. 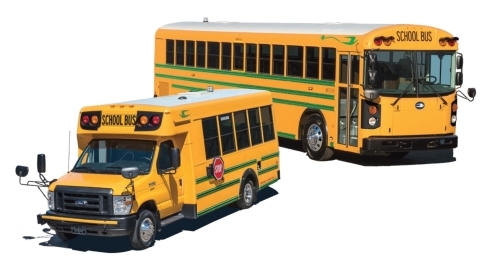 Blue Bird distinguishes itself from its principal competitors by its singular focus on the design, engineering, manufacture and sale of school buses and related parts. As the only manufacturer of chassis and body production specifically designed for school bus applications, Blue Bird is recognized as an industry leader for school bus innovation, safety, product quality/reliability/durability, operating costs and drivability. In addition, Blue Bird is the market leader in alternative fuel applications with its propane-powered, electric and compressed natural gas-powered school buses. Blue Bird manufactures school buses at two facilities in Fort Valley, Georgia. Its Micro Bird joint venture operates a manufacturing facility in Drummondville, Quebec, Canada. Service and after-market parts are distributed from Blue Bird’s parts distribution center located in Delaware, Ohio. For more information on Blue Bird’s complete line of buses, visit www.blue-bird.com.